Russian black bread is a staple in the Russian diet. It is served daily. It has a long history and is even credited for keeping folks alive after the Nazi’s invaded when ingredients were very difficult to come by. Russian black bread has been a symbol of people’s well-being. The Slavs believed that people who shared a loaf became friends forever. I love that, it is pretty much my whole premise for International Cuisine. Sharing bread, a meal or a simple cup of tea, is the ultimate form of hospitality and a treasured memory. 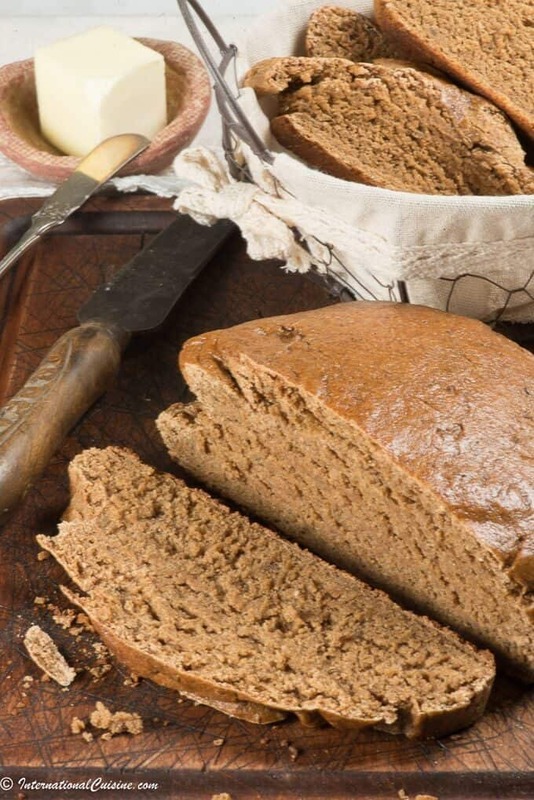 The Russian black bread is black and sour, made with rye and a sour starter or leaven. It was much cheaper and more nutritious than white bread. The different grades of rye bread indicated one’s wealth. This recipe has numerous ingredients to make a rich and hearty loaf. Today the bread is ubiquitous, and we loved it with the beetroot soup known as Borscht. If you would like to learn more about this most interesting country of Russia, be sure to check out “Our Journey to Russia” to learn more. You will also find more delicious and authentic Romanian recipes you are sure to love. Have you ever tried Russian black bread? If you have I would love to hear your description of it in the comments below. Also, if you choose to make this amazing bread, please send me a picture of it and let me know how you liked it. A hearty and delicious taste of Russia. 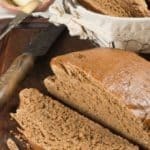 You will love this Russian Black Bread! Combine flours in a bowl. In another large bowl, thoroughly mix 2 1/3 cups flour mixture, sugar, salt, cereal, caraway seed, coffee powder, onion powder, fennel seed and undissolved yeast. In a sauce pan combine 2 1/2 cups water, vinegar, molasses, chocolate and butter. Heat liquid mixture over low heat until liquids are very warm, butter and chocolate do not have to be fully melted. Gradually add heated liquid mixture to dry ingredients and beat with an electric mixer for 2 minutes at medium speed, scraping bowl occasionally. Add 1/2 cup flour mixture at a time, Beat at high speed for 2 minutes, scraping bowl occasionally. Stir in enough additional flour mixture to make a soft dough. Turn dough on to a lightly floured board. Cover dough with a tea towel and let rest for 15 minutes. Knead dough until smooth and elastic this takes 10 minutes or so, dough may be sticky. Place dough in a greased bowl, turning dough to grease the top. Cover bowl with a tea towel and place in a warm, draft free place to rise until doubled in size (about 1 hour). Punch dough down; turn out onto a lightly floured board. Divide dough in half. Shape each half into a ball, about 5-6 inches in diameter. Place each ball into the center of a greased 8-inch round cake pan. Cover with a tea towel and let rise in a warm, draft free place until doubled in size again about 1 hour. Bake at 350°F for 40-45 minutes, or until done. When the bread is nearly done, combine cornstarch and cold water. Cook over medium heat, stirring constantly, until mixture stats to boil; continue cooking mixture for 1 minute stirring constantly. As soon as bread is done, brush cornstarch mixture over top of loaves. Return bread to oven and bake 2-3 minutes longer, or until glaze is set. Romanian Mămăliga baked is a substitute for bread. 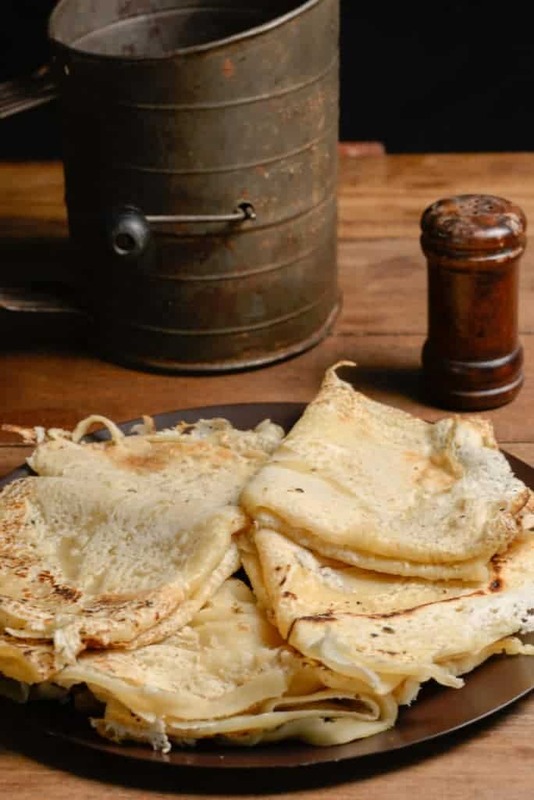 It is the national dish of Romania and used to be considered a peasant food however today you will find it on nearly every menu in the finest establishments. 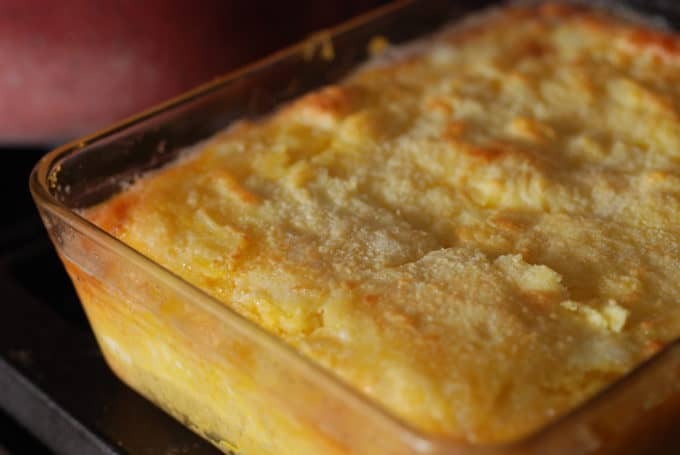 This dish is made with eggs and cheese and a coarse cornmeal. I baked the dish but it is often cooked on the stove top like polenta. It goes beautifully with soups and stews. We enjoyed it thoroughly alongside our Romanian meatball soup. This Romanian Mămăliga is usually served with a dollop of sour cream on top which I highly recommend. 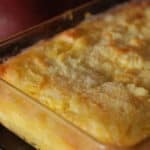 It is similar to a corn bread but the addition of eggs and cheese is lovely. I love how peasant foods become delicacies over time. It seems we all want to go back to our deepest roots for comfort. This dish is clearly one of those. I hope you make it and please let me know how you liked it. Have you ever been to Romania? Prince Charles has property in Romania and a true fondness for Romania’s people and beautiful countryside. Did you know that Nadia Comaneci was the first gymnast in history to score a perfect 10? In fact they had to show the score as a one because the scoreboard was never designed for a 10. If you would like to learn more about this intriguing country of Romania be sure to check out “Our Journey to Romania“. The national dish of Romania is a lovely side. Be sure to serve it with a dollop of sour cream. It goes perfectly with any stew or soup. Bring the water and salt to a rapid boil in a large pot. Turn heat down to simmer and slowly pour in the cornmeal. Stir constantly for about 20 minutes until you notice the Mamaliga breaks away easily from the side of the pot. The cooked Mamaliga should be thick enough to stay on a plate by itself. It could be served just like this, cut into slices with a string. It would be served with sour cream, and feta cheese sometime even a fried egg on top. Put half of the porridge into a 7 x 9 greased glass pan. Pour ½ of the melted butter on top. Whisk together the 4 eggs and the shredded feta cheese. Pour over the bottom half, making a layer of egg and cheese in the Mamaliga. Spread the rest of the Mamaliga on top. Pour the remaining melted butter over that. Bake for 20 minutes or until the top becomes lightly browned. Cut in pieces and serve with sour cream on top. Sopa Paraguaya as it is called is not a soup at all like the name indicates. It is much more like bread than soup. Be sure to check out below how this interesting dish got its name and of course the recipe. So the story goes that a cook called a machu in the Guarani language was making the then president Don Carlos Antonio Lopez his beloved white soup. On this day, the machu mistakenly added to much corn flour to the mixture. As it was nearing noon and lunch time she had no time to start from scratch so she made an executive decision. She poured the mixture into an iron container and cooked it in the tatakua (a rustic Guarani oven made of clay and adobe). When it came out it was a solid soup. Nervous, she served it anyway and Don Carlos after tasting it, found it very delicious and immediately named it “Sopa Paraguaya”. Although there are other theories about the name I like this one the best. This is easy to make and is very good. 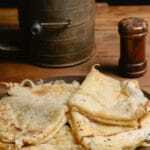 Often times poor Paraguayans only eat this as their meal, sometimes a few times in the same day. 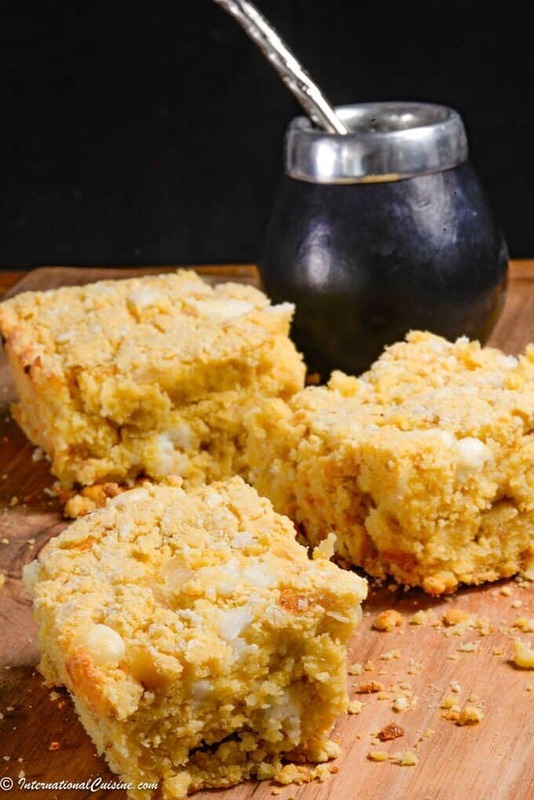 Did you know that that sopa paraguya is the national dish of Paraguay? If you would like to learn more about this little known country be sure to check out “Our Journey to Paraguay” plus get more great authentic Paraguayan recipes. Sopa Paragauya is not a soup at all but a delicious cheesy corn bread. 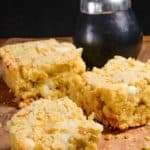 A lovely Paraguayan dish you are sure to love. In a bowl, whisk the eggs until they become foamy. In a separate bowl, add the corn flour, then the cooked onion and the milk, and mix. Add the eggs and the cheese grated. Mix well. Grease a baking dish with oil and pour the mixture in it. Bake for 30 to 40 minutes or until the surface is golden brown. Poke the sopa paraguaya with a toothpick, it should come out clean. Let cool and cut into individual pieces. 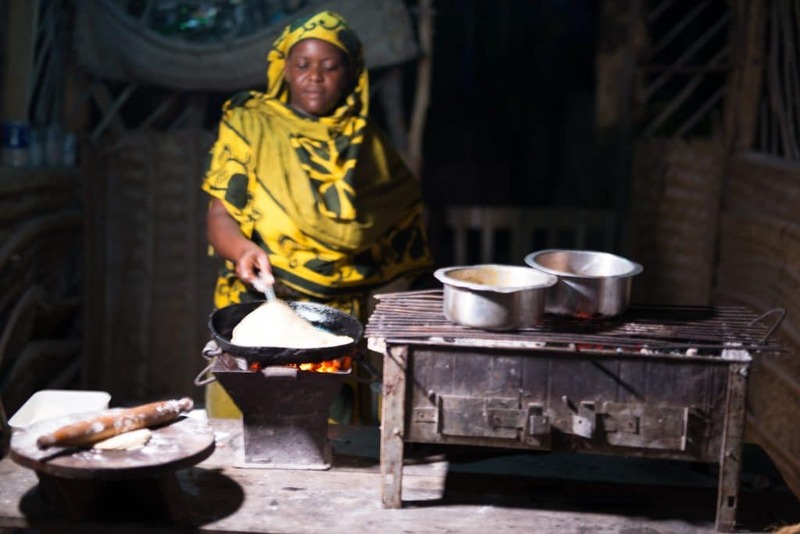 Zanzibar chapati is simply delicious! 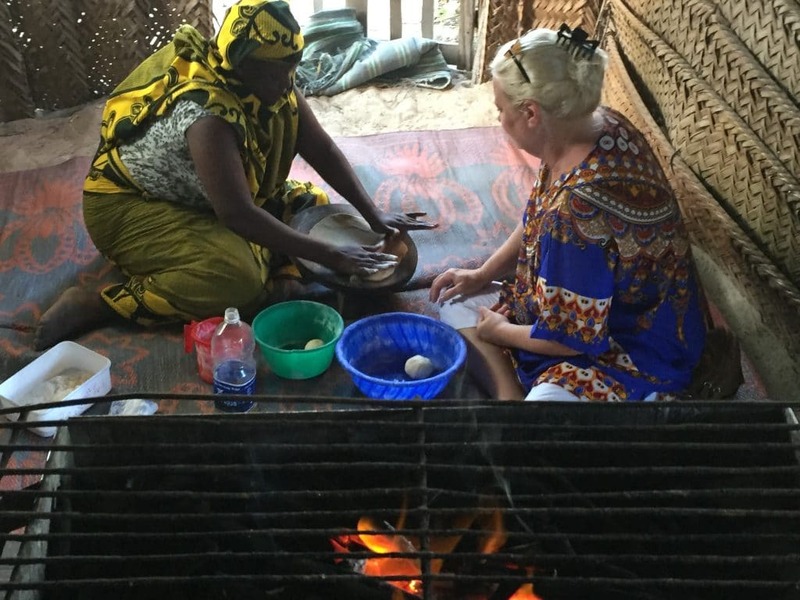 The people of Zanzibar and actually all over Tanzania love Chapati. 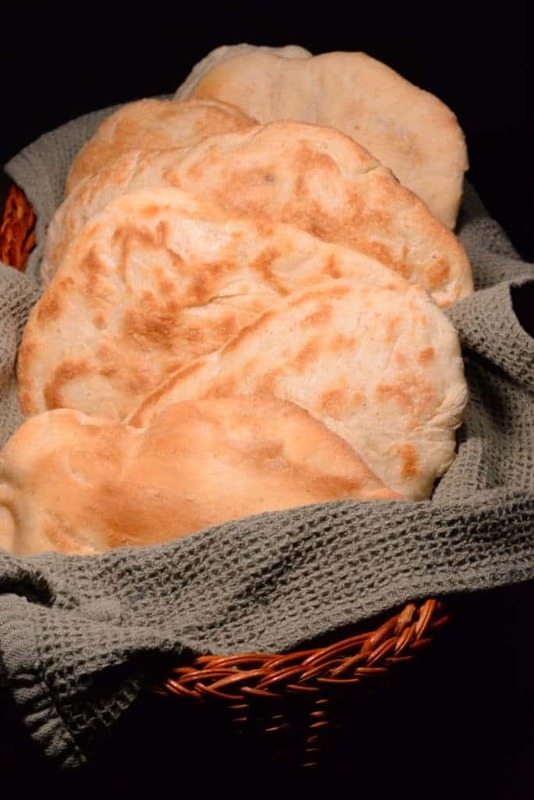 It is of Indian origin and is a unleavened bread that is easy to make and absolutely delicious. It is often used as a vessel and sponge to eat curry and other wonderful dishes. 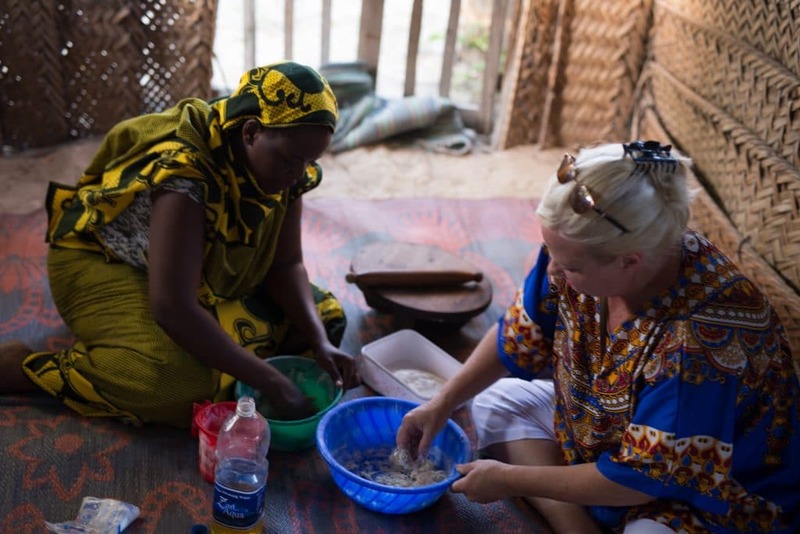 I had the pleasure of making Chapati with Mr, Okala and his family in the little village of Jambiani. Here is the recipe and some pictures from that amazing experience. 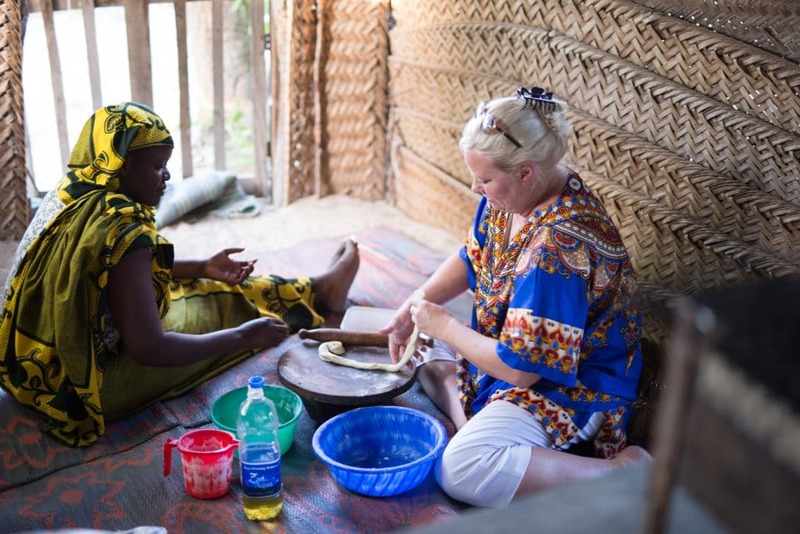 If you would like to pick up a chapati board and rolling pin you can get one here. The finished delicious chapati, Enjoy! 1 tablespoon coconut oil plus more for cooking. In a bowl place about 2 cups of flour a bit of water and start mixing with your hand. Add water as necessary until you get the dough into a ball. Add about a tablespoon of oil and the salt and knead well for a few minutes. 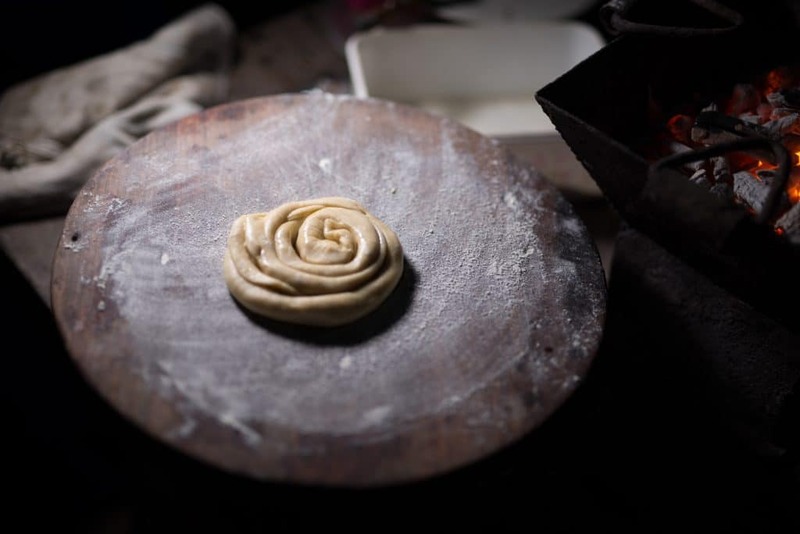 with your fingers make a hole in the middle and as gather up the dough making a round rope. cut through the rope so you can make a serpentine (see pictures) and tuck the end other. Add a little oil on top and set aside to rest for about 20 minutes or so. 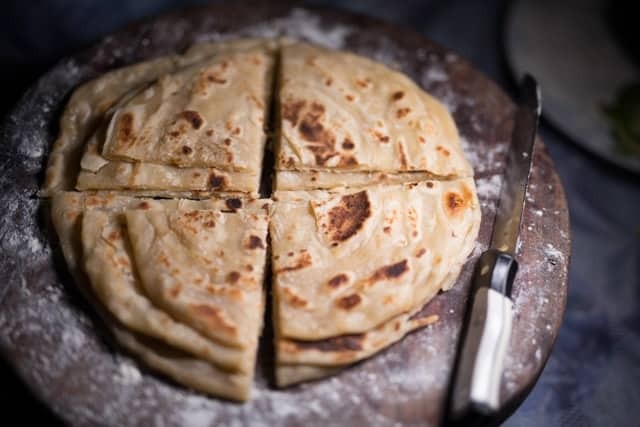 Roll out the chapati into another 8 inch circle using flour as necessary to avoid sticking and place into the frying pan. Cook until brown spots appear on the underside adding oil if necessary and flip over. Cut into pieces and serve hot, Heaven! 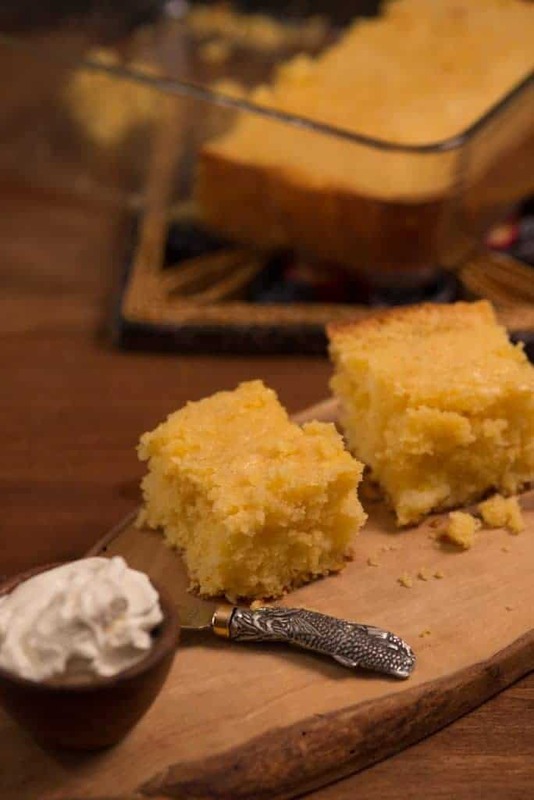 Moldovan cornbread is a staple although it should not be confused with what is considered to be the national dish called mamaliga. 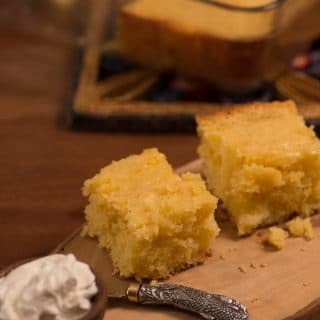 This cornbread is moist and savory with the addition of cheese and sour cream. Serve it alone with a slice of feta cheese, sour cream or alongside a soup or stew. We enjoyed it paired with Moldova’s hangover cure, a soup called zeama. Enjoy! 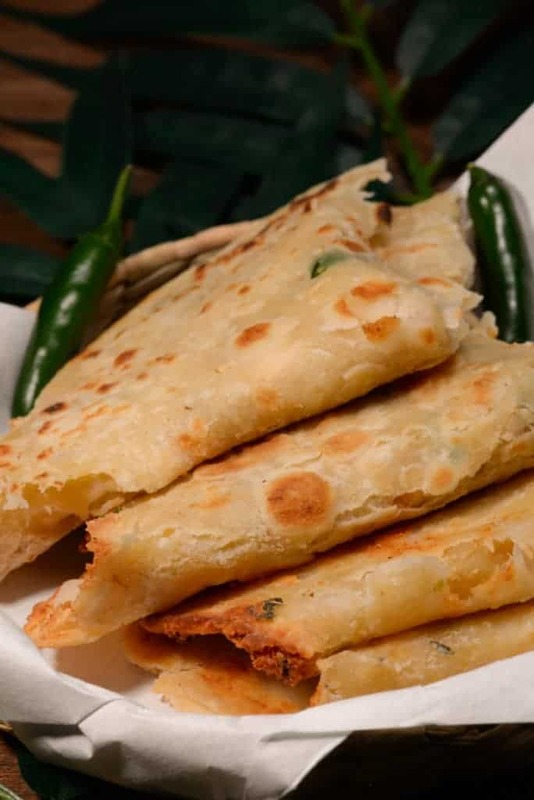 Maldivian flat bread made with potato and fish is called mas aluvi roshi. I love Indian flat bread and this was a delicious way to enjoy it. 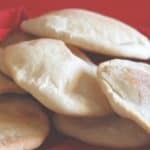 This bread can be made rolled out flat or in rounds and stuffed with the potato and fish filling. I made ours rolled out flat and to be honest it was a little tricky but the end result was excellent. I loved these and would enjoy them for a light lunch on their own anytime. In the Maldives these would be made with smoked tuna called tuna valhoa mas alternatively a can of tuna can be used which is how I made ours. Enjoy! start adding the water a little at a time and start kneading the dough. Mix together the onion, salt, curry leaf, pepper and green chilies, add in the mashed potato and drained tuna. Mix thoroughly. Take a piece of the prepared dough and make a dent. Heat a pan and put in the roshi adding a touch of oil to each side of the roshi. Macedonian cheese rolls, YUM! They are called kifli, and are absolutely delicious light and fluffy rolls, especially just out of the oven. They are rolled with some feta cheese that melts inside the rolls as they bake. They are also sprinkled with some sesame seeds. We enjoyed these little treasures with tarator which is a cold creamy cucumber soup. It was a lovely way to begin our Macedonian feast. 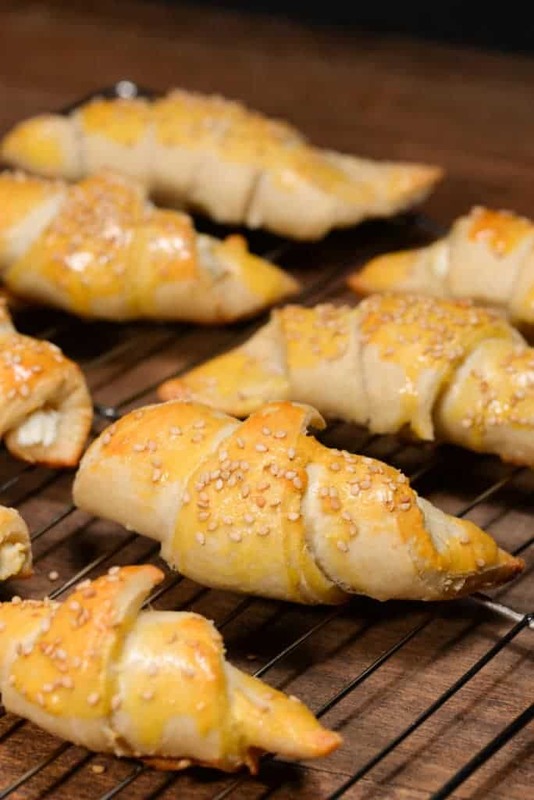 This recipe makes quite a few of these rolls (around 24) and you will want to make them all , the recipe can also be doubled and the kifli can be put in the freezer for use anytime. A lovely dinner roll for any occasion. We used them to sop up the shopska salad as well. They would be awesome for breakfast too with some preserves and a cup of tea. Pour the lukewarm milk into a large bowl. Stir in the sugar, 1 tablespoon of flour and the yeast. Let it stand for 10 minutes. Add in the baking powder, salt, vegetable oil, egg whites and 3 cups of flour. Stir with a wooden spoon until the dough is well mixed, then turn it out onto a lightly floured surface. Knead the dough for 10 minutes, then put in a large bowl, cover it with a dish towel and allow it to rise for about 1 hour. Punch down the dough and knead for another 5 minutes until all the air is out. Take one piece and roll it out to about the size of a medium round pizza. Cut the rolled out dough into 8 equal triangular slices, a pastry roller or pizza cutter works great for this. Place a tablespoon of the feta cheese at the widest part of the triangle. Beginning at the widest point of each slice, roll it toward the narrow tip. Place on a lightly greased cookie sheet and continue until all the dough is used. In a small mixing bowl, whisk the egg yolks and brush each croissant with the egg yolk. Enjoy with a shopska salad or tarator. 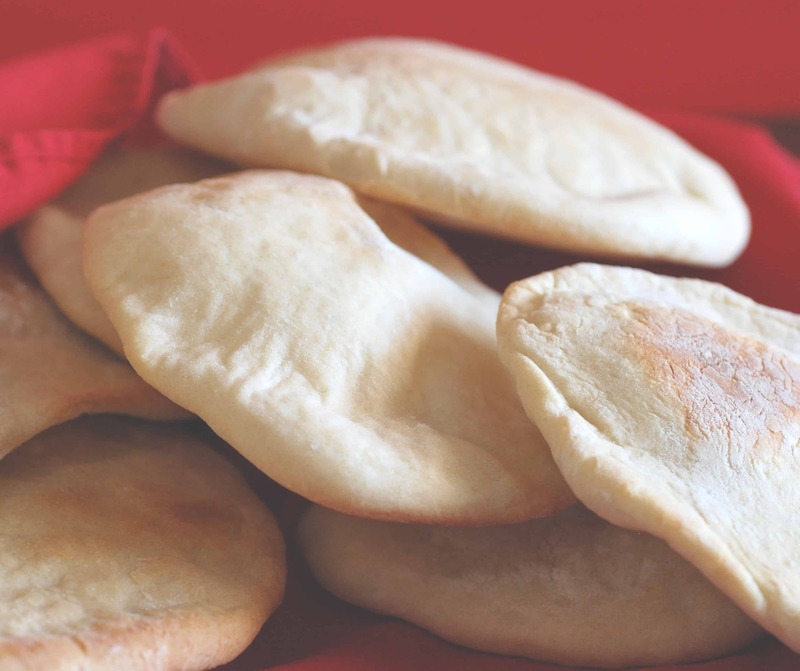 Libyan bread called khubzit howsh is very similar to pita. It has a pocket and makes a perfect scoop to enjoy any Libyan cuisine. Libyans often eat with their right hand sitting at a low table with cushions. Having a piece of Libyan bread makes that task a little easier if you are not used to using you hand as a utensil. We enjoyed it with the salad as well as the main dish of poached eggs in tomato sauce called shakshuka. It is a quick and very easy bread to make to use for just about anything. Enjoy! In a big, deep bowl add ¾ cups warm water, yeast and sugar and mix together. Add wheat and white flour and salt to bowl. Mix together to incorporate the salt into the dough. The dough will have risen. Punch down and knead again for an addition 5-8mins. Cover again and let rest for 30mins. The dough will rise, Make sure you use a big enough bowl. Preheat oven to 500 degrees or the highest temperature allowed. Pinch dough into balls and let rest on counter top. Make sure to pat the top of each dough mounds with olive oil. It keeps it moist and adds flavor. Leave mounds for 15mins to rest. Allow to bake for 2-3 mins till the edges begin to brown and it puffs up, flip it over for another couple minutes and remove, it will deflate once you remove it from the hot oven.